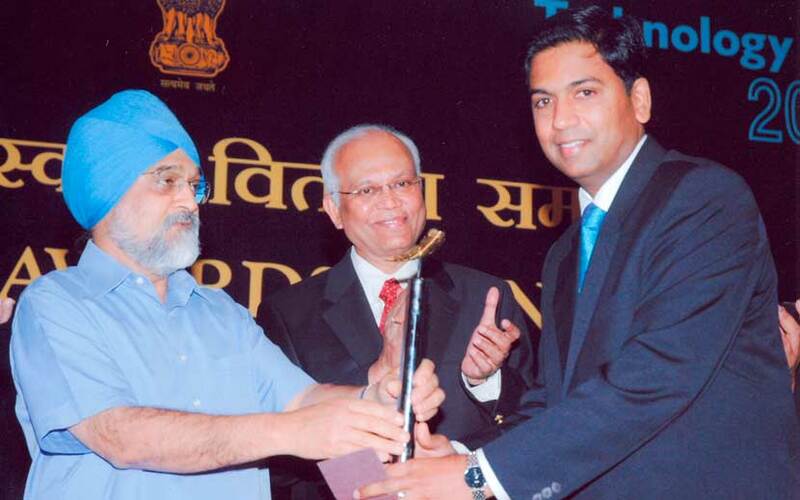 Dr. Manmohan Singh Hon’ble Prime Minister presenting the 'National Award for Defence Technology Absorption', instituted by DRDO, Ministry of Defence. 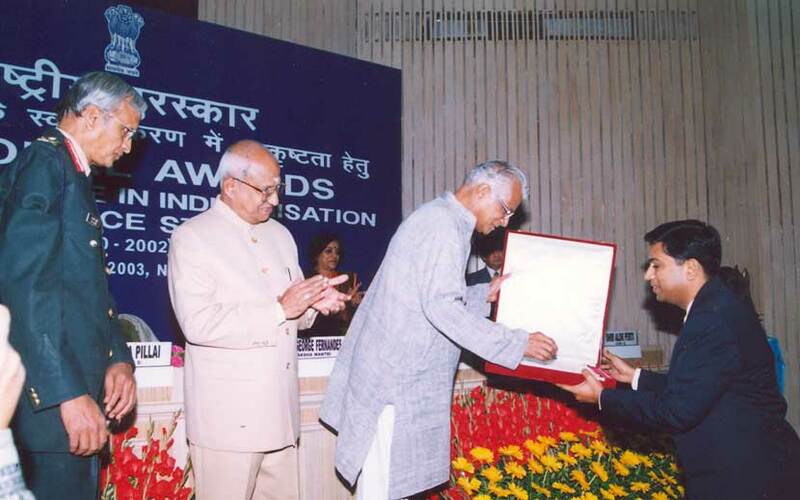 Mr.George Fernandes, Hon’ble Union Minister for Defence presenting Award for 'Excellent Performance in Indigenisation of Defence Stores'. 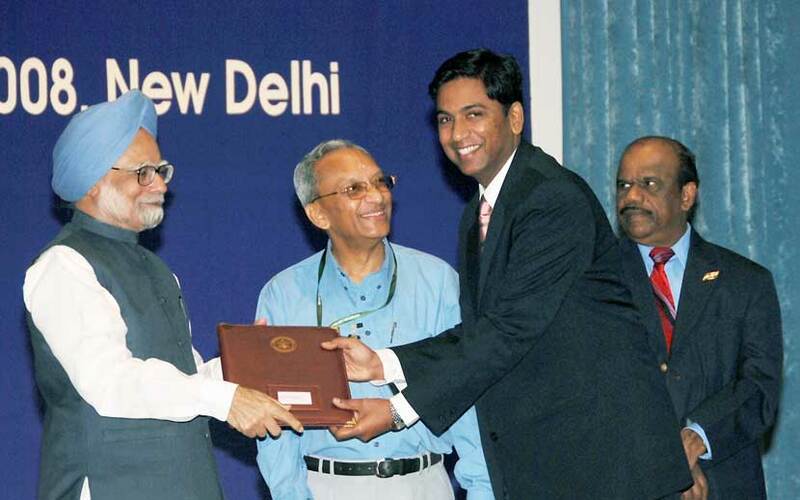 National Award for Successful Commercialisation of Indigenous Technology instituted by Tech.Devp.Board, DST, GOI. 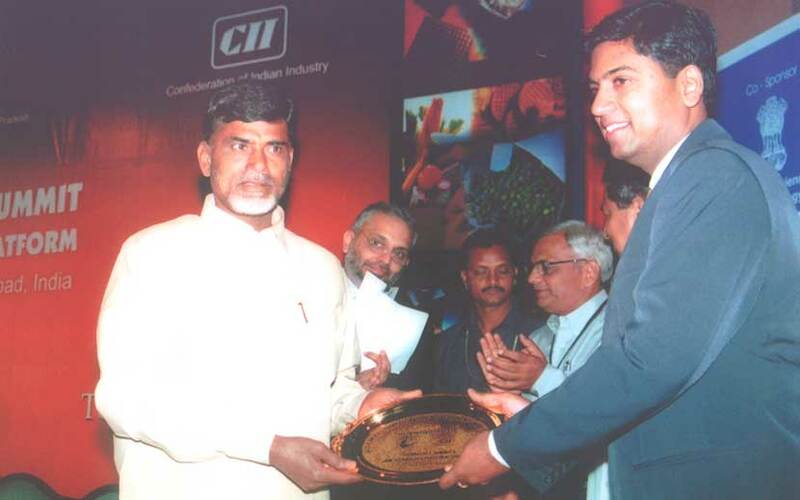 Mr.N.Chandrababu Naidu, Hon’ble Chief Minister presenting the 'Best Innovative Technology Development Award', instituted by CII /APTDC. Dr. Y.S. 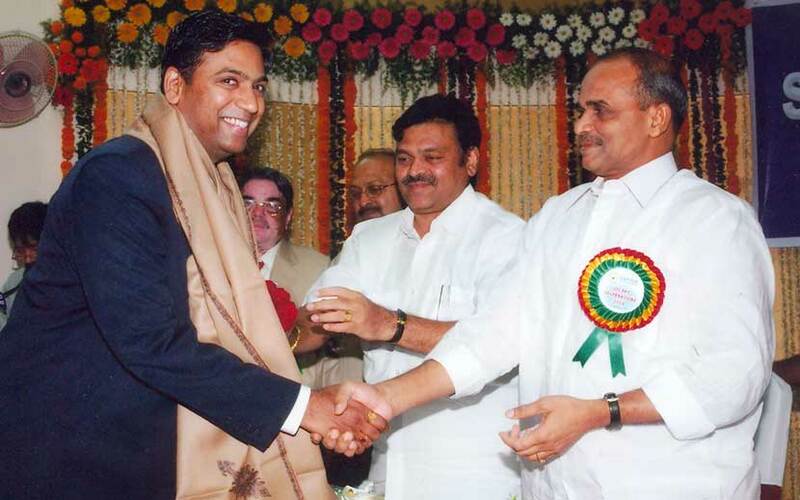 Rajashekar Reddy, Hon. Chief Minister felicitating the Managing Director for being awarded the 'National Award for Outstanding Entrepreneurship Efforts' in MSME, instituted by Ministry of MSME. 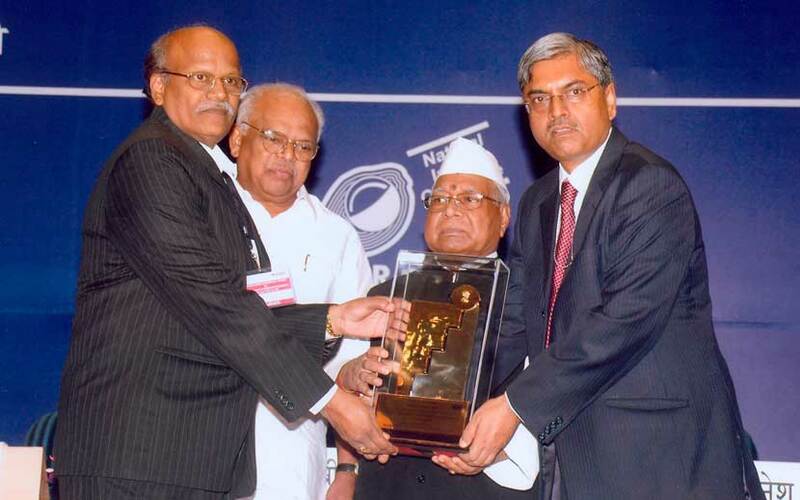 Mr. Pranab Mukherjee Hon’ble Defence Minister presenting the 'National Award for Research & Development Efforts'. 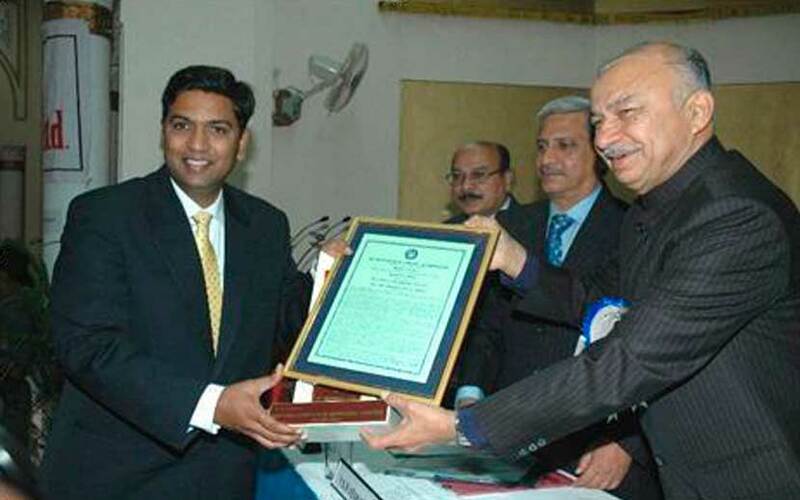 Shri Sushil Kumar Shinde, Hon’ble Governor of A.P presenting Bharat Ratna Dr. (Sir) M. Visvesvaraya Industrial Awards for 'Best R&D Effort', instituted by All India Manufacturers Organisation (AIMO), AP State Board. 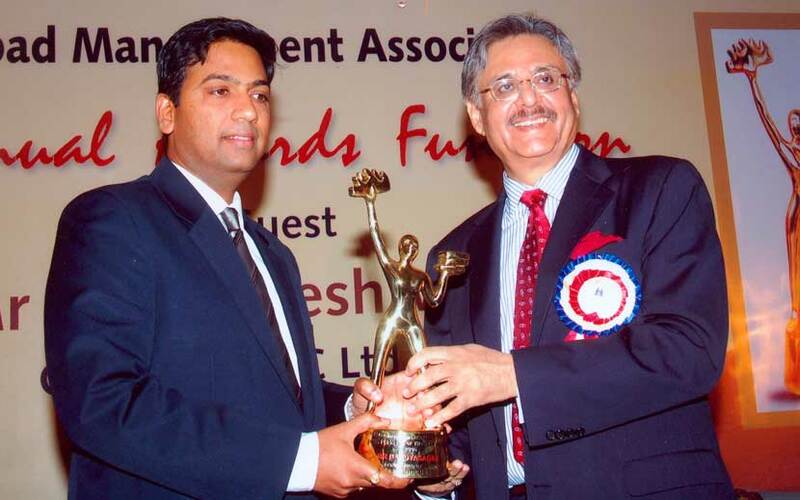 Mr. Y. C. Deveshwar, Chairman, ITC Ltd., presenting the 'Entrepreneur Of The Year' Award, instituted by the Hyderabad Management Association. Mr. Mahabir Prasad, Hon. 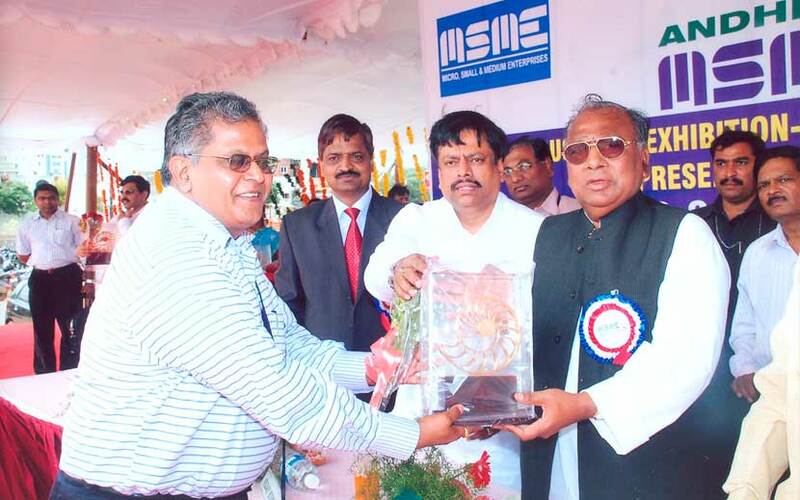 Minister for MSME presenting the 'National Award for R&D Efforts' in MSME, instituted by Ministry of MSME. Mr. V. Hanumantha Rao, Hon. M.P. 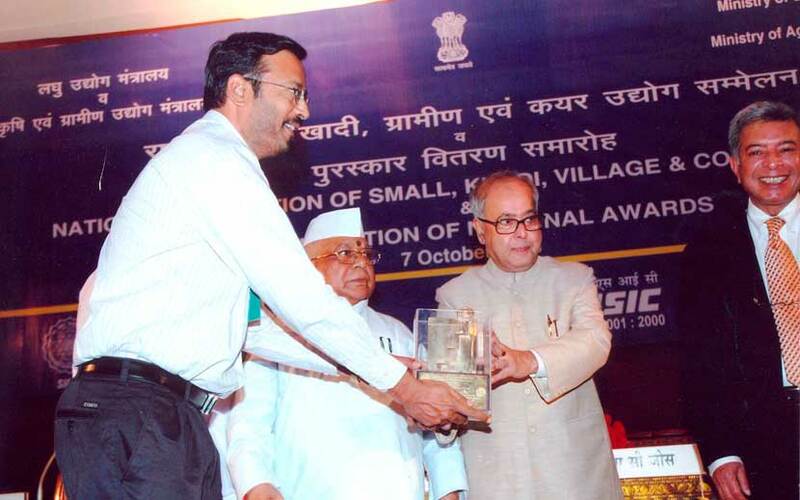 & Chairman-Parliamentary Standing Committee presenting the 'National Award for Outstanding Entrepreneurship Efforts' in MSME, instituted by Ministry of MSME.